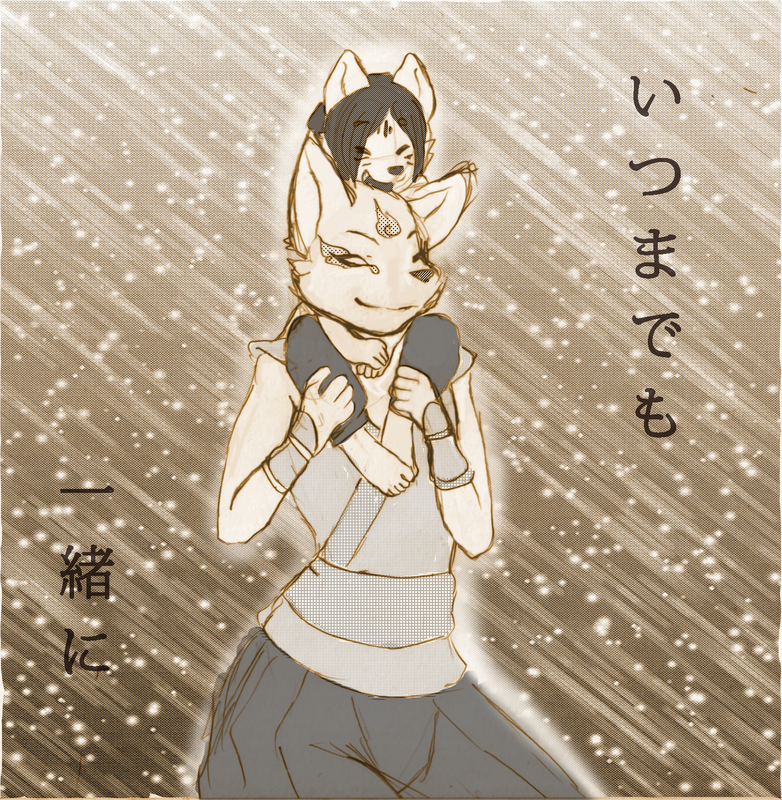 Two kitsune, brothers in heart even if not by blood. Shunned by their people yet at peace together. How childhood dreams sparkle in memory. How today's peace can seem eternal. Susanou wasn't always crazy after all. Just a lil sketch inspired by listening to too much Joe Hisashi music. Also wanted to try out my toner shading again. been thinking of making some quicky lil manga pages.